Hello! I am a hopeless romantic and I love period films. This latest version of ‘Jane Eyre’ is one of my favorites of all time, and inspired me to create a layout with a photo of Jane. 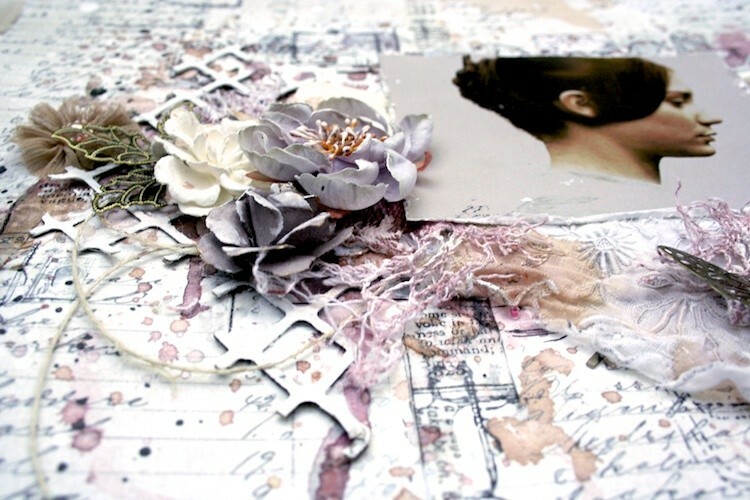 The collection ‘Alma’s Sewing Room’ was perfect to create a soft vintage feminine look. I created my background by cutting out the small sewing images from the paper ‘Ladies’ and glueing them down to my paper. I then stenciled over them with gesso and then added my mists and stamping. Just so beautiful! 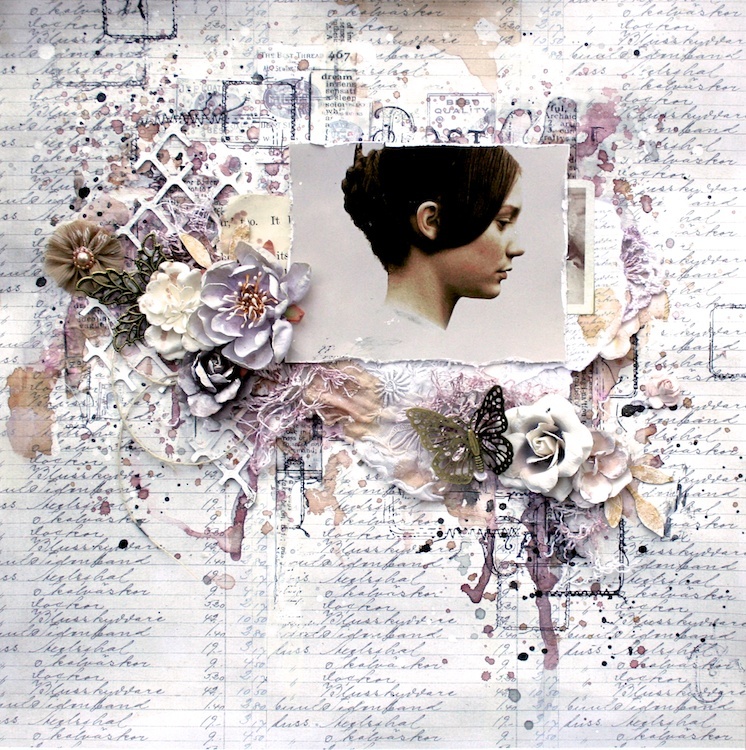 Love the texturing, layering, and your use of stencils! Good job on this Lisa…looking forward to seeing more of your art!